Battling a serious disease, such as cancer, is sometimes a matter of weighing the odds: potent, life-saving treatments may come with their own set of risks and side effects. A bout of chemotherapy or radiation may leave the body in a weakened state, with a compromised immune system. But natural supplements and health-giving extracts, such as those made with European Elderberry (Sambucus nigra), are giving new hope in the fight to return to health. Elderberry’s antibacterial and antiviral power may help shift the balance back to wellness faster, giving the immune system a much-needed boost against bacterial and viral infections. 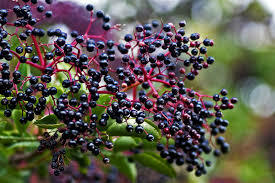 Elderberry has long been known to posess healing and strengthening powers. Our modern ability to concentrate and standardize health-giving fruits into different forms is giving elderberry even greater effectiveness. Now researchers are finding that doses of concentrated elderberry extract may help return strength back to the immune system, and to overall health, as the body works to recover. Scientists have discovered that concentrated elderberry extract not only counter both bacterial and viral infection, but also support overall health by reducing oxidative stress throughout the body. Natural plant pigments known as anthocyanins — powerful anti-oxidants found in abundance in dark-colored (and therefore heavily pigmented) elderberries — are among the active ingredients. Among the toughest infections facing those with diminished immune systems are bacterial infections that affect the respiratory system. That was the focus of yet another series of studies into elderberry’s potential. The anthocyanins in elderberry were found to kill a range of bacteria, particularly those related to respiratory infections. Research conducted in Germany found that an elderberry formula called Rubini, created using Iprona AG´s proprietary membrane enrichment technology, was particularly effective in this regard, and could potentially function as a valuable alternative treatment. Similarly, a study in Ireland found that elderberry was a potentially powerful weapon against the dangerous antibiotic-resistant bacteria Staphylococcus aureus. Recent research on elderberry’s antiviral power found that the anthocyanins in concentrated elderberry extract form a bond with the influenza virus H1N1 (swine flu). This bond thwarts the virus’ ability to infect new cells. A study in Japan found that concentrated elderberry juice is a potent double weapon against influenza infection: it suppresses the replication of the Influenza A virus, and also increases the level of antibodies in the blood. The same study also showed that elderberry stimulates the immune response, which prevents further viral infection. Still more research found that the anthocyanins in elderberry extract may have the ability to fight the Human Immunodeficiency Virus (HIV). The anthocyanins blocked viral reproduction by bonding with HIV, thus preventing it from infecting new cells. The researchers deem this a promising starting point in the quest for safe and reliable co-therapies, and a bright possibility for those who are HIV-1-positive. 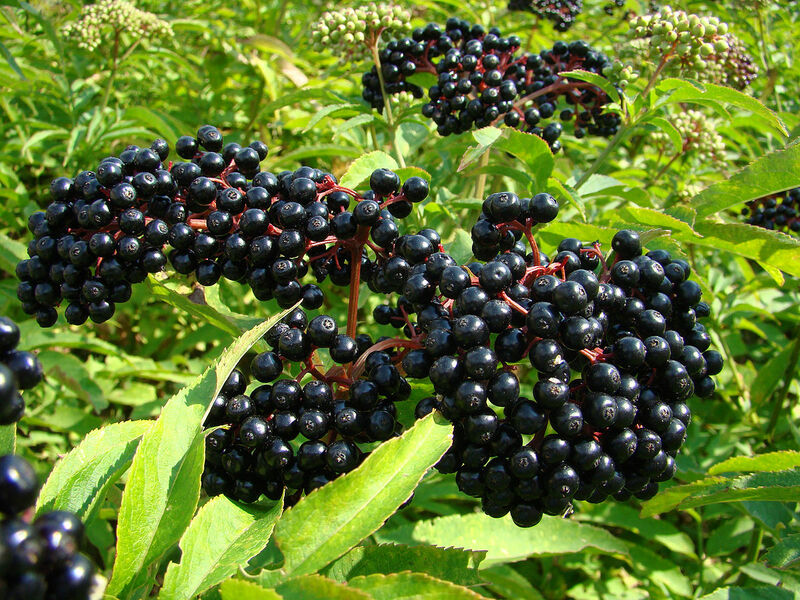 On many fronts, elderberry has therapeutic, health giving promise. Whether as a supportive treatment against colds and influenza, or a way to help strengthen the blood and increase vitality, it’s another example of the incredible power of nature to help us heal.